People who want to begin the process immigration to United States should start by filing an application online or at the nearest office of US Citizenship and immigration Services i.e. USCIS. After filing the application, the USCIS will review it and after they have it approved, it will be sent to National Visa Center. This visa center will then process the filed petition and will give you an appointment letter (in about a year or so) and coordinate with the applicant regarding the location and timing of the interview. It is the responsibility of the petitioner to gather and collect all the documents that are required to complete the visa application process. The documents which must be collected by the applicant include a biographic data questionnaire which must be fill out and submitted online. The confirmation page must be printed and should be brought at the time of interview. Birth certificate of the applicant along with its photocopies should be submitted as well. Moreover, original and photocopy of applicants marriage certificate if applicable should be provided, affidavit of support by the applicant and information about the joint sponsor along with their supporting documents should also be given. 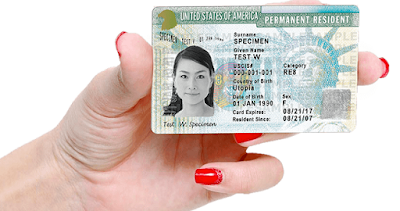 Any other form of issued immigrant or non-immigrant visa (if given to the applicant before) is to be provided with two recent colored and passport sized photographs. Regardless of their age, the entire applicant must undergo a medical examination before their visa can be given to them. They must receive this exam from any of the three approved medical clinics prior to their visa interview. Clinics may send medical results directly to the consulate or hand it over to you but the applicant should never uncap the seal otherwise it will be nullified. On the day of interview, the applicant must arrive thirty minutes before the interview time and must bring all of their relevant documents along with their appointment letters issued by the American consulate. The applicant may receive their visa in the form of a sealed packet through courier service. You must read all the information very carefully on both the visa itself and on the cover letter which will be stapled to the sealed package. If the information given on the letter are not clear to you, take it to the consulate immediately and do not open the sealed visa until you are sure of the given information.